The four-time Emmy Award-winning &quot;The Voice&quot; returns with the strongest vocalists from across the country invited to compete in the blockbuster vocal competition show’s new season. EGOT winner and multi-talented musician, actor, singer and songwriter John Legend makes his debut as a coach this season. 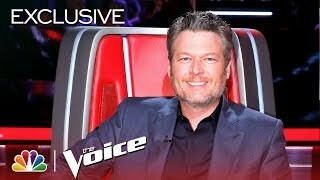 Coming off of her second consecutive win in Season 15 - this time with a country artist - three-time Grammy Award winner and music icon Kelly Clarkson returns alongside lovable veterans Adam Levine and Blake Shelton, as well as host Carson Daly. The show’s innovative format features four stages of competition: the first begins with the Blind Auditions, then the Battle Rounds, Live Cross Battles and the Live Performance Shows. Additionally, &quot;The Comeback Stage&quot; offers six artists, who were previously eliminated, a chance to compete in the Live Shows with help from Grammy-nominated artist Bebe Rexha.